Dave Capasso will make light of the current political environmental for your carnival season! He’ll bring to life Press Secretary Sean Spicer and tell you all to “shut up” PERIOD. He’ll tell us why there’s a good reason to keep Trump, the (laziest) “laissez faire” leader, healthy. Will we overcome Jeff Sessions as Attorney General!? Is this adios to voting rights? Steve “Goebbels” Bannon? REXx(on) Tillerson….oil$$ Russia detente! Secretary of the treasury “Munchkin”…. hey hey, ho ho...how many ways can you say FORECLOSE? Environmental Protection Agency? GUT IT! Department of Labor? GUT IT! Supreme Court? Ram it through! It would be hilarious, if it wasn't on so sad! And, hell yeah, it's funny... but it's not! 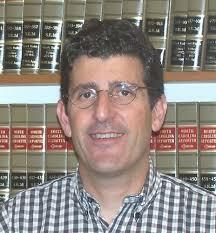 David Capasso is an Attorney at Law and is the senior and founding partner of Capasso & Associates. He is a graduate of Loyola Law School. He cares about his community, his city and his state. He is a member of 1st Presbyterian Church of New Orleans, Louisiana Environmental Action Network, Pax Christi, Interfaith Committee for Worker Justice, Money Management Advocacy Council Icon, Community of Abraham, A Community Voice, and Local 100 United Labor Unions.